Graphene oxide (GO) films are a few hundred nanometers thick semi-transparent films which have recently become commercially available. GO, used to make the films, is the oxidized form of graphene which can be visualized as a graphene sheet with its basal plane decorated by oxygen-containing groups. GO, created using the Hummers method, is hydrophilic, solution processable, and an insulator. GO can also be treated to be converted into reduced Graphene Oxide (rGO), which is conductive. The GO can be deposited onto a substrate such as silicon/silicon dioxide, glass, or PET to create films. The properties of GO/rGO films make them potential candidates for use in technology for growing markets, such as low-cost flexible electronics and photovoltaics. Below is a brief however comprehensive overview of the likely application areas of these films. There are several different ways to create graphene films. Mechanical exfoliation (the “scotch-tape method”) can be used to pull sheets of graphene off of graphite using tape, or chemical vapor deposition (CVD) to grow graphene on metal. However, mechanical exfoliation is only useful for isolating small quantities of graphene, and CVD is expensive, requiring capital equipment and expertise in wet chemistry to transfer graphene film on an insulator. In contrast, abundant chemicals are used to oxidize graphite to make GO and for this reason the production of GO films is relatively inexpensive. 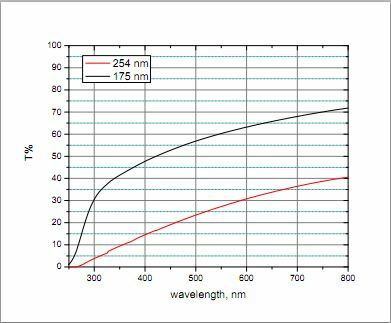 Further, the transparency and thickness of GO thin films can be adjusted continuously to be used in a broad range of applications. GO films, which can be used for nonvolatile memory, may expand the current applications of memory technology because it maintains its properties even when only one or a few atomic layers thick. GO-based memory would also have mechanical flexibility, a clear advantage over the current generation of nonvolatile memory sources such as dynamic random access memory (DRAM) and flash memory. It has been demonstrated that even after 1,000 flexes, the bipolar resistive switching of the graphene oxide-based memory device was not degraded1. When GO films are reduced they become conductive. Electrical conductivity allows them potential applications in thin film transistors, transparent conductors, gas sensors, supercapacitors, and electronic and optoelectronic devices. Methods have been developed to reduce graphene oxide while maintaining its high-flexibility as well as giving it a much higher tensile strength than its original form2. rGO films may be employed in touch screens and solar cells, replacing indium tin-oxide (ITO) as the material of choice for transparent conductors. ITO is a rare and expensive material, unlike rGO. Also, ITO is not flexible and easily breaks, whereas rGO on polymer film can be used in flexible transparent displays. This will allow graphene to not only replace current technology, but also to pioneer new possibilities. rGO films have applications in molecular sensing; devices based on rGO films can detect agents that may be used in chemical warfare and explosive devices. The rGO film sensors have been shown to detect agents at parts-per-billion concentrations even at room temperatures. Small defects in the rGO films allow for gases to become adsorbed into the graphene sensor and then detected3. Energy storage technology can also benefit from rGO’s conductivity and large specific capacitance. Supercapacitors, which store energy by means of a static charge as opposed to an electrochemical reaction as in batteries, are currently used mostly in toys, but could someday replace batteries in cell phones, laptops, and tablets. The high tensile strength of rGO films and flexibility give it the potential to be used in flexible supercapacitors, which is important for emerging portable technology. Further, its stable, large electrochemical capacitance outperforms many carbon-based flexible electrodes which are currently available4. GO and rGO films are also fluorescent, allowing them uses in biological and medical applications. The films can be used in fluorescent-based biosensors for the detection of DNA, which also promises better diagnostics of HIV. rGO films are used as the conductive channel in a field effect transistor, allowing for the real-time detection of DNA5. GO and rGO films have many superior properties which will make them valuable for future technologies at a time when hi-tech companies are looking to replace expensive materials with cheaper ones. For example, they have potential to be used in many components to make a flexible cell phone. rGO films are readily available for further experimentation, so that they may soon be used in commercial applications. 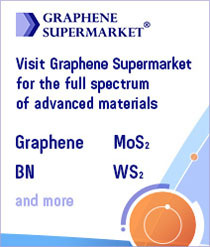 Authored by Corey McCarren, Dr. Elena Polyakova, Dr. Daniel Stolyarov and Dr. Jing Zhang of Graphene Laboratories, Inc., Operator of Graphene Supermarket (www.graphene-supermarket.com), a leading supplier of graphene products. 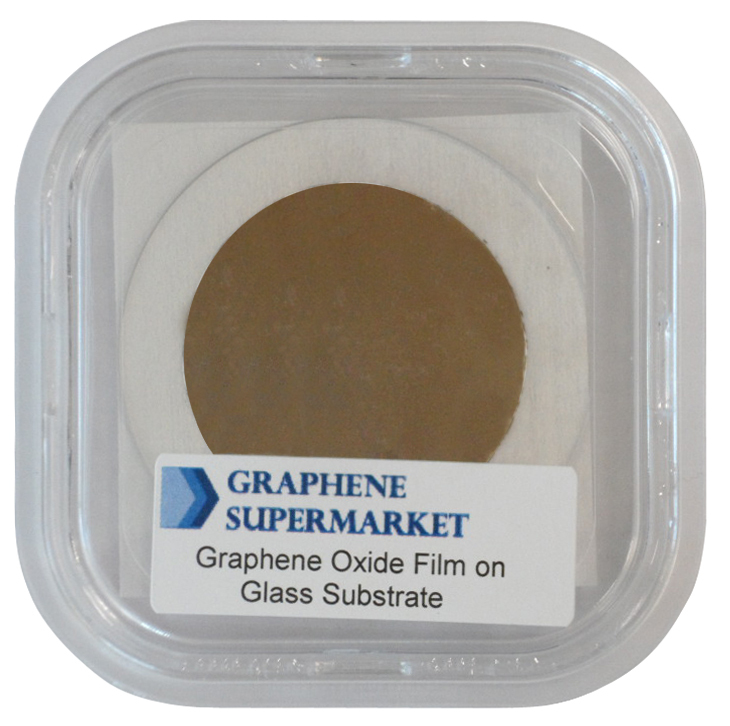 Graphene Oxide Films are commercially available through the Graphene Supermarket (https://graphene-supermarket.com/The-Graphene-Oxide-Thin-Film-on-Glass.html). 1. “Graphene Oxide Thin Films for Flexible Nonvolatile Memory Applications.” Jeong et al. Nano Letters, 10 (2010), pp. 4381-4386. 2. “Direct Reduction of Graphene Oxide Films into Highly Conductive and Flexible Graphene Films by Hydrohalic Acids.” Pei et al. Carbon, 48 (2010), pp. 4466-4474. 3. “Reduced Graphene Oxide for Room-Temperature Gas Sensors.” Lu et al. Nanotechnology, 20 (2009). 4. “Fabrication of Graphene/Polyaniline Composite Paper via In Situ Anodic Electropolymerization for High-Performance Flexible Electrode.” DW et al. ACS Nano, 7 (2009), pp. 1745-1752. 5. “Real-time DNA Detection using Pt Nanoparticle-Decorated Reduced Graphene Oxide Field-Effect Transistors.” Yin et al. Nanoscale, 1 (2012), pp. 293-297. Copyright © 2009-2010 Graphene Update or their respective owners.